Former Gloucester back-row forward Akapusi Qera will captain Fiji against Wales, while Ospreys' Josh Matavesi will start at fly-half in Saturday's match at the Millennium Stadium. Qera leads a side that also includes Leicester back Vereniki Goneva, who will be joined by Nemani Nadolo in the centre of a new-look back line. Nadolo takes over from Lepani Botia while Matavesi, who was ruled out of Fiji's 40-15 defeat in France though injury, comes in for Jonetani Ralulu. Wings Asaeli Tikoirotuma and Waisale Nayacalevu replace Watisoni Votu and Alipate Ratini. Both Ratini and Botia cannot be in Cardiff for personal reasons, Fiji coach John McKee confirmed. "I am very happy with the squad I have been able to name for this match," McKee said. "The return of Goneva to the team and Nadolo to the starting line-up adds strength and experience to our backline. 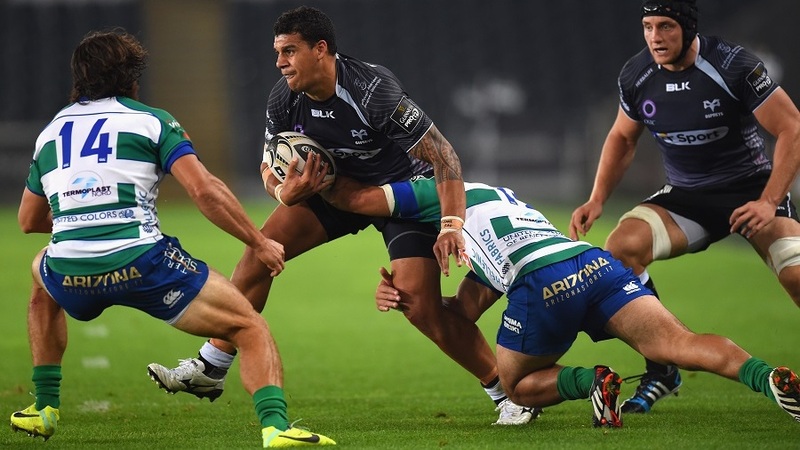 "Josh Matavesi, who unfortunately was unavailable for the France match due to injury, will be looking to make his mark in the playmaker position in this important match, less than 12 months from when these two teams will meet at the same venue at the 2015 Rugby World Cup." Former Cardiff Blues prop Campese Ma'afu, now of Nottingham, returns to the Welsh capital in the hope of helping Fiji cause an upset to rank alongside their victory at the 2007 World Cup, while Glasgow are represented by scrum-half Nikola Matawalu and Leone Nakarawa in the second row. Fiji drew 16-16 on their last visit to the Millennium Stadium four years ago. Fiji: Metuisela Talebula, Waisea Nayacalevu, Vereniki Goneva, Nemani Nadolo, Asaeli Tikoirotuma; Joshua Matavesi, Nikola Matawalu; Campese Ma'afu, Sunia Koto, Manasa Saulo, Leone Nakarawa, Api Ratuniyarawa, Dominiko Waqaniburotu, Masi Matadigo, Akapusi Qera (capt). Replacements: Tuapati Talemaitoga, Jerry Yanuyanutawa, Isei Colati, Tevita Cavubati, Malakai Ravulo, Henry Seniloli, Jonetani Ralulu, Timoci Nagusa.